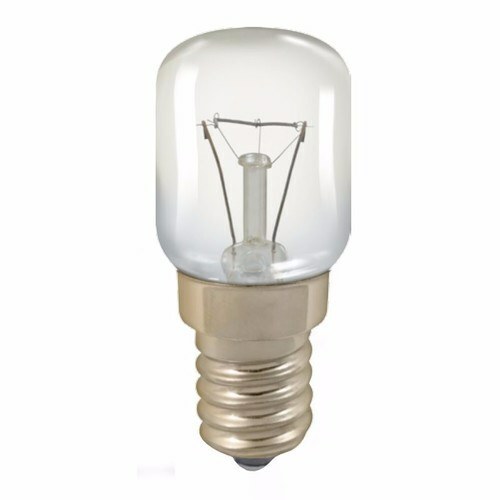 The A015CSES 15 Watt High Temperature E14 (Small Edison Screw) Appliance Lamp Bulb from Bell. This high temperature resistant lamp is ideal for use in any cooker or heated appliance with a SES-E14 cap housing, and operates at 240V and 15W in a clear finish for efficient internal illumination of your appliance during use. Tested to 300 degrees with a 1000 hour burn time. This lamp is also ideal for use in any fridge or freezer with an SES lamp fitting.